iPad Mini is equipped with 802.11a/b/g/n Wi-Fi which is quiet faster than its predecessors. Because is the most widely available of the standards and is backward compatible with a, b and g. It significantly improved speed and range over its predecessors. For instance, although 802.11g theoretically moves 54 megabits of data per second, it only achieves real-world speeds of about 24 megabits of data per second because of network congestion. 802.11n, however, reportedly can achieve speeds as high as 140 megabits per second. 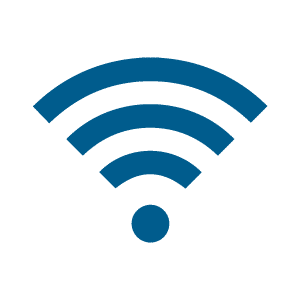 802.11n can transmit up to four streams of data, each at a maximum of 150 megabits per second, but most routers only allow for two or three streams. iPad Mini Wi-Fi is manufactured along with Bluetooth as one component, hence the whole wi-fi module will have to be replaced if either is faulty. Wi-fi module is located on the internal motherboard assembly. If you have any problem using your iPad Wi-Fi or if you are not able to connect to any wireless networks then it is time to get your iPad Mini Wi-Fi repaired by a professional. We source the best OEM Wi-Fi module replacement, which is high in quality, durable and efficient. Our professional repair technicians will change the iPad Mini Wi-Fi module quickly and efficiently. Replacing the faulty iPad Mini Wi-fi module component.